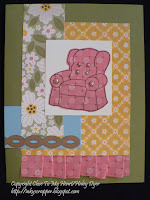 Stamp of the Month Blog Hop: May's "Chairs To You"
Pull up a chair, sit, and stay awhile! 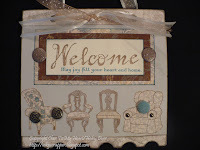 Welcome to the CTMH May Stamp of the Month blog hop. 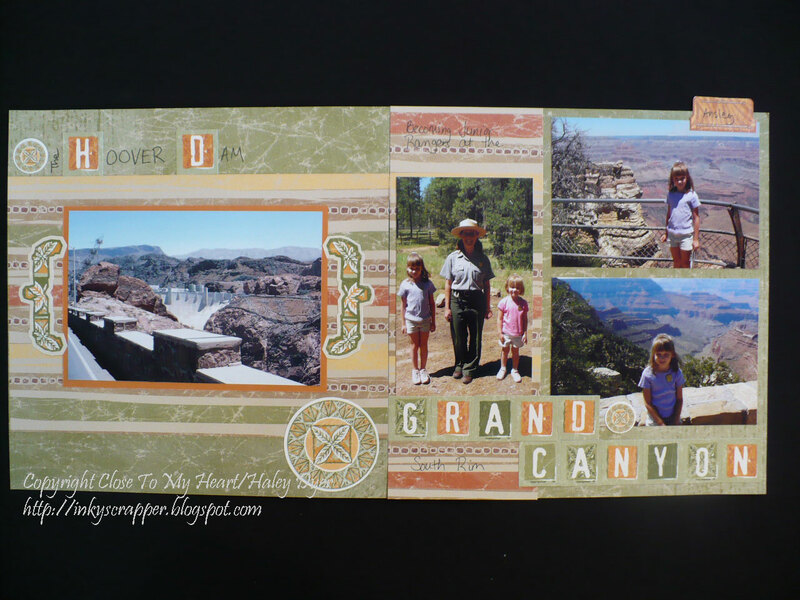 (If you've come from Judy Burger's blog, then you're following the path. 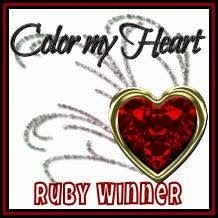 Otherwise, start right here, look around, and then move on to Jen Rubio's blog just by clicking the link- although be sure to read all the way to the bottom of this post! 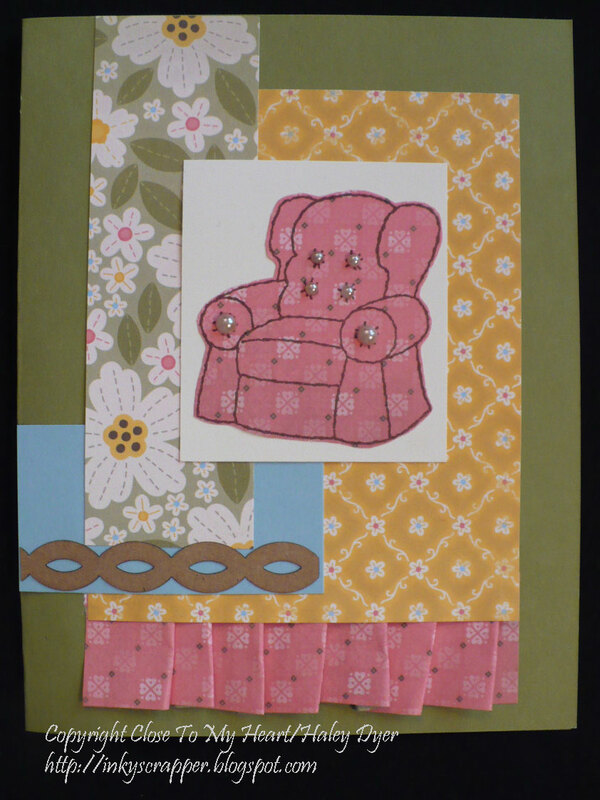 This first chair card was totally inspired by a card I saw created by Aaron Brown. 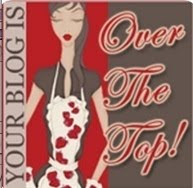 Check out her blog sometime when you get a chance! I used the Mayberry paper pack to create this 8"x3.5" card. 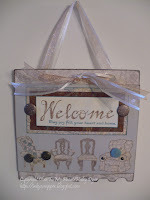 I kept the embellishments pretty simple because I think those chairs speak for themselves. 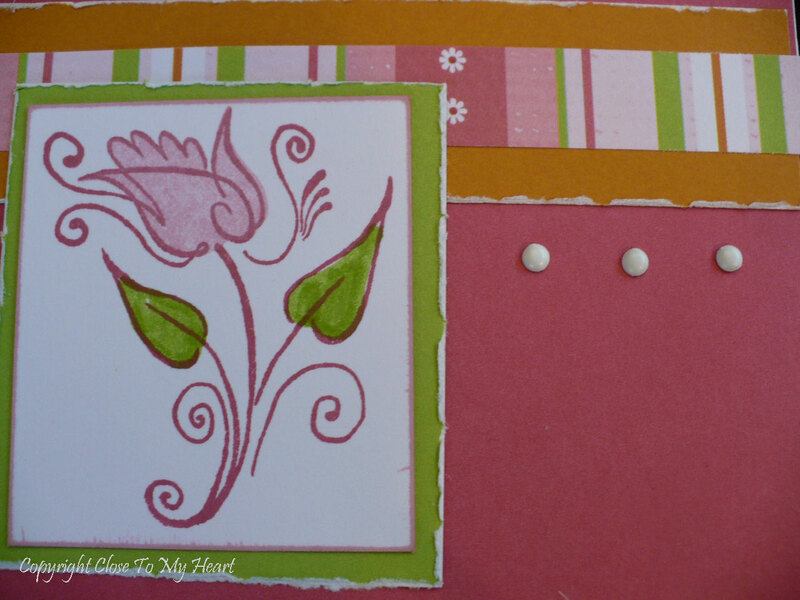 On the inside, I am going to stamp either the "one of a kind friend" or "Be You" from this set, accented with the tiny flower stamp. 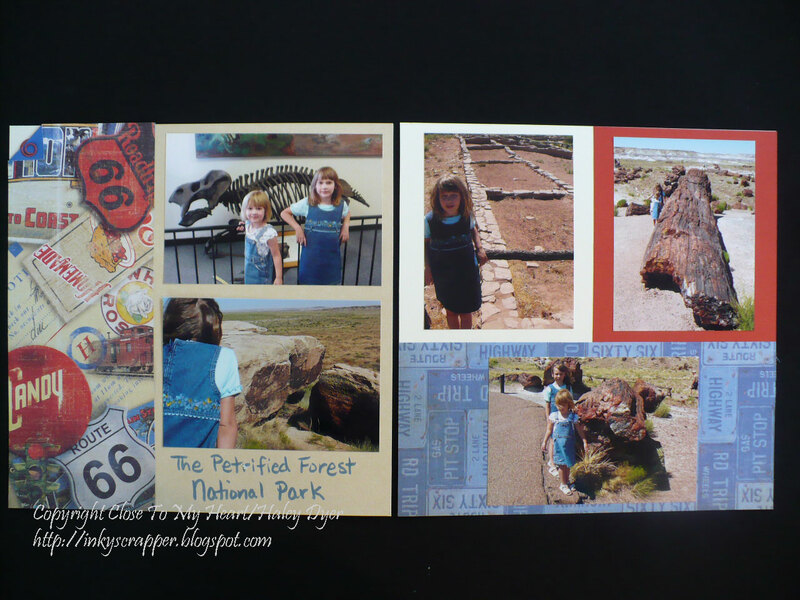 My second card also uses the Mayberry paper pack. Don't you love this big comfy chair? 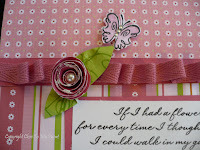 I paper-pieced it and then had to embellish a bit with the matching ruffled paper. (I love doing this! It's so quick and easy. 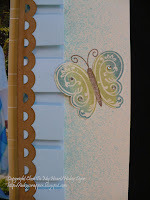 Just run a strip of double-sided adhesive where you want the ruffle to be, then start and one end adhering a bit of a card stock or patterned paper strip, folding back on itself, then adhering some more. 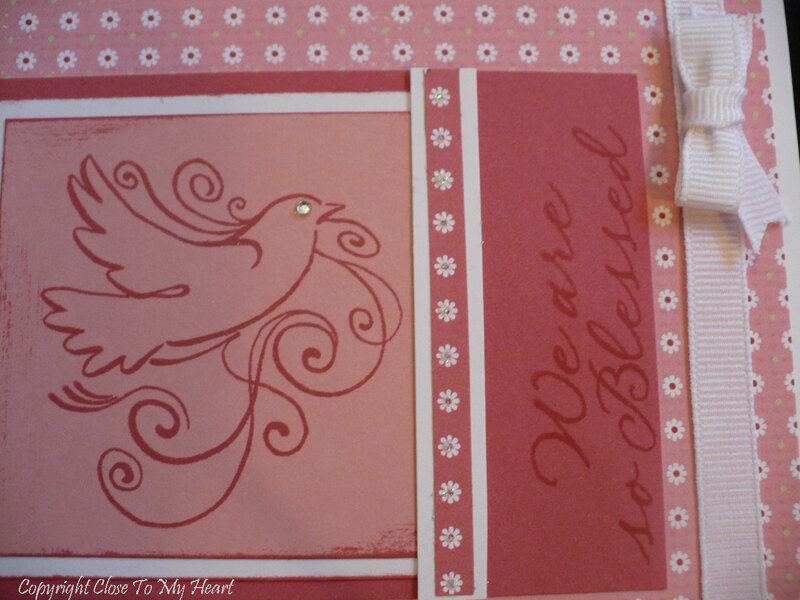 I added a few Mocha pearls and a piece of a Kraft border to finish the card. 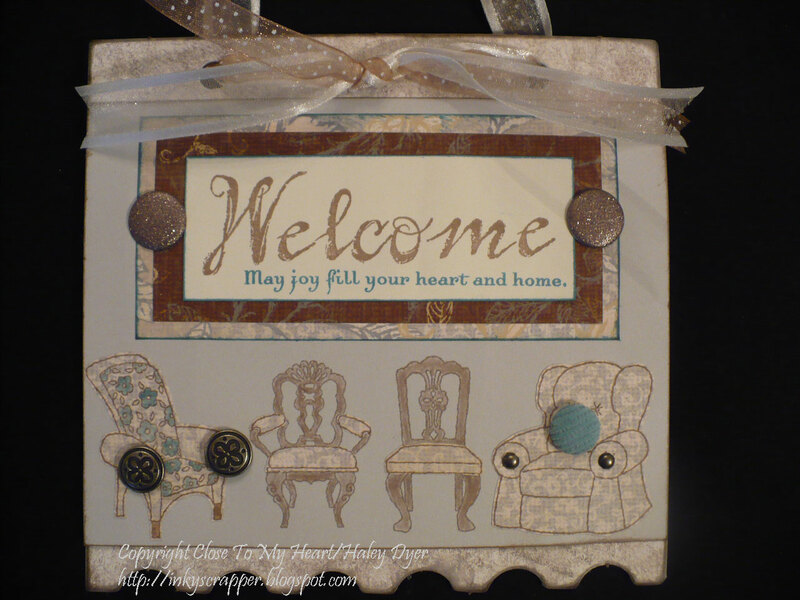 You can also find the deets about this Welcome wall hanging I made earlier in the month with the "Chairs to You" stamp set by clicking HERE. Thanks so much for hopping by! 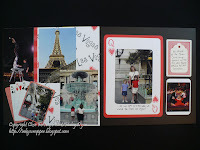 I'd love for you to sign my guest book (AKA leave me a comment) before heading on to see Jen's fab cards. 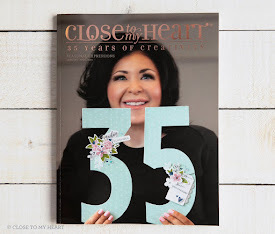 Also, if you haven't entered my CTMH giveaway, scroll down to my "News Flash/Giveaway" post (below) for a chance to win some CTMH goodies of your own! 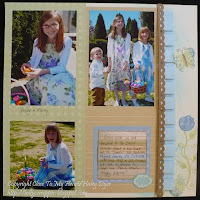 Hop to Jen's Jewel Box next! 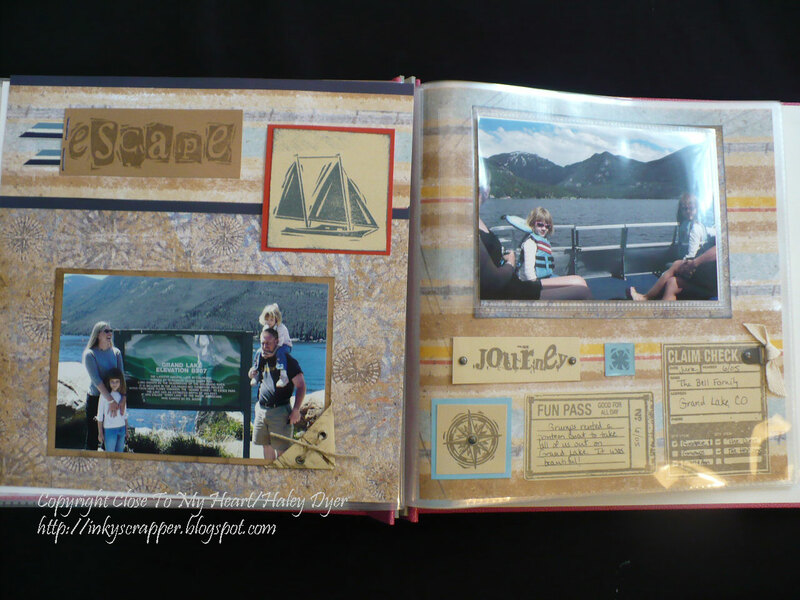 National Scrapbooking Month is almost here, and CTMH and I want to help you celebrate with the gorgeous "You and Me" scrapbooking kit! This fabulous kit will be available for the entire month of May for $34.95 OR only $15 with a $50 purchase! For complete details, click HERE for the PDF flyer. 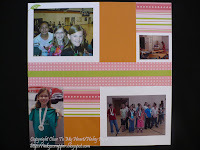 Scroll down to my "News Flash/Giveaway" post (below) for a chance to win some CTMH goodies of your own! 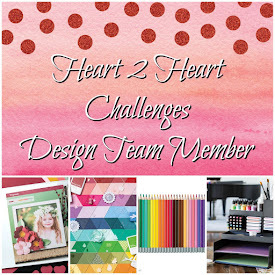 ...that I have been selected to serve on the Heart 2 Heart Challenges Design Team! 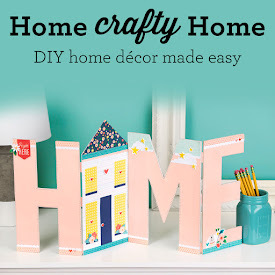 I am really looking forward to this opportunity to strech myself a bit and share my love of crafting with a wider audience. 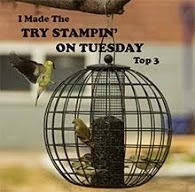 It means that each week I will be sharing my take on the weekly H2H challenge (posted each Monday). Won't you join me? There are fun prizes to be won, but you can't win if you don't play! 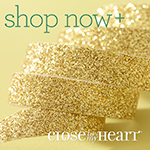 If you like to craft with Close To My Heart products then you'll love H2H. 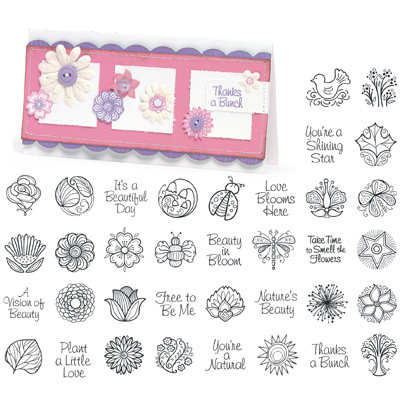 Since I want to share some of my good fortune with you, I will be giving away a brand new CTMH "Beautiful Day" stamp set (featured at right), a 1" block, some assorted CTMH paper (pieces/scraps), and embellies (whatever will fit in the envelope!) to one lucky "commenter" so that you will have some CTMH products and can join us in our challenges. 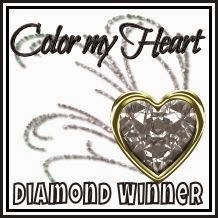 In your comment, please tell me what you favorite Close To My Heart product is, or what CTMH product you'd like to learn more about. Good luck! 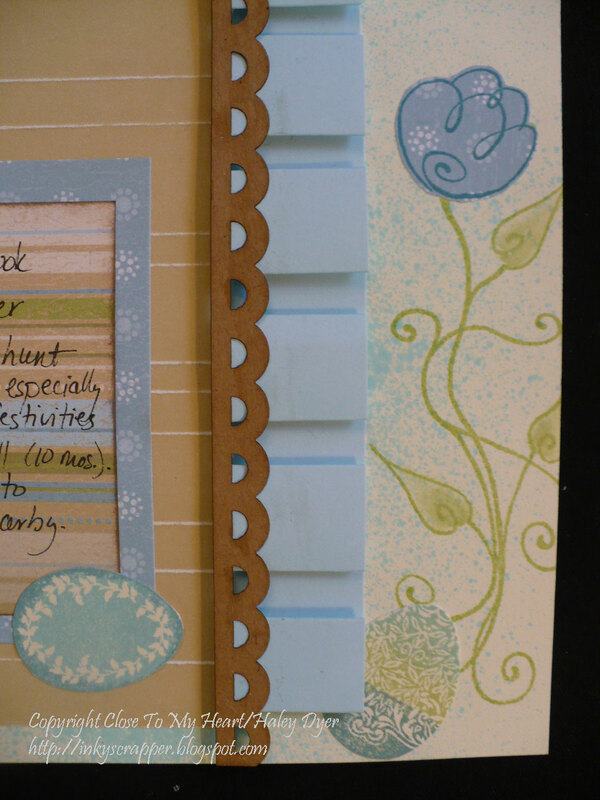 You have until midnight EDT on 5/2 to comment! Winner will be announced sometime on 5/3. 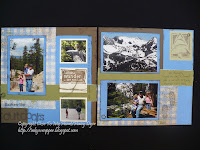 Here are my monthly Stamp of the Month Team Swap cards. 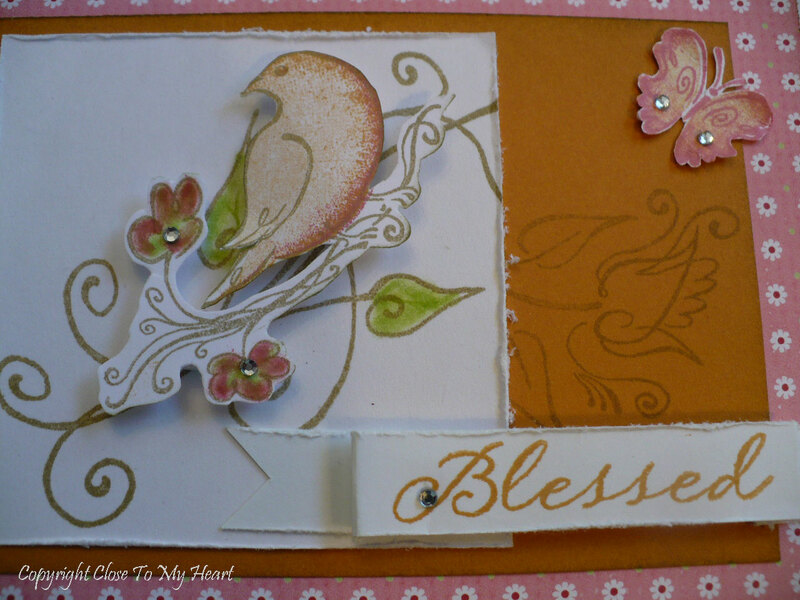 The April Stamp of the Month, Blessed, is so beautiful! We all paired it up with the Sophia paper pack and palette for such pretty and feminine results. 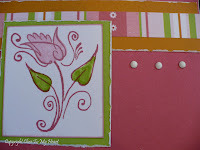 Check out the gorgeous paper flower, leaves, and ribbon detail on Bridget Maher's card! Gotta love that Glitz Gl ue for glimmer, sparkle, and shine! 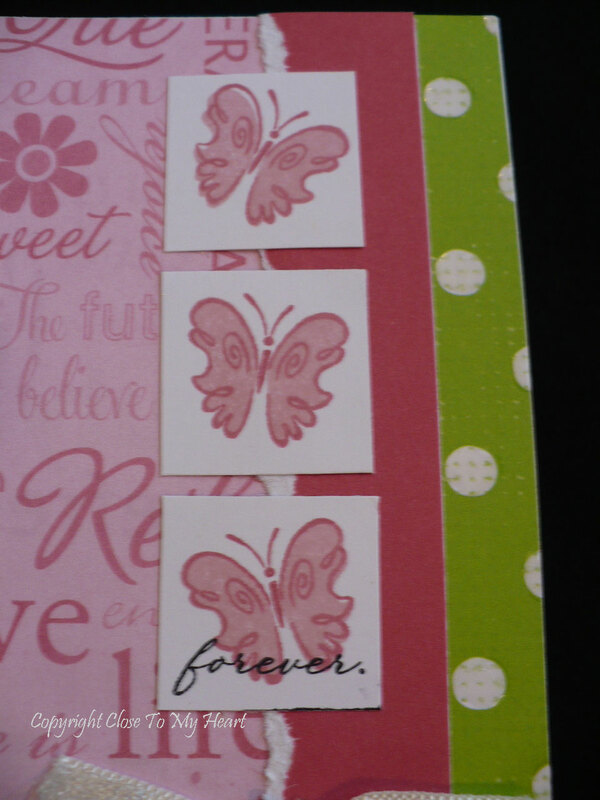 Not only are Pam Beery's three butterflies beautiful, but notice how she used the "pick & omit" technique to stamp forever on the third one. 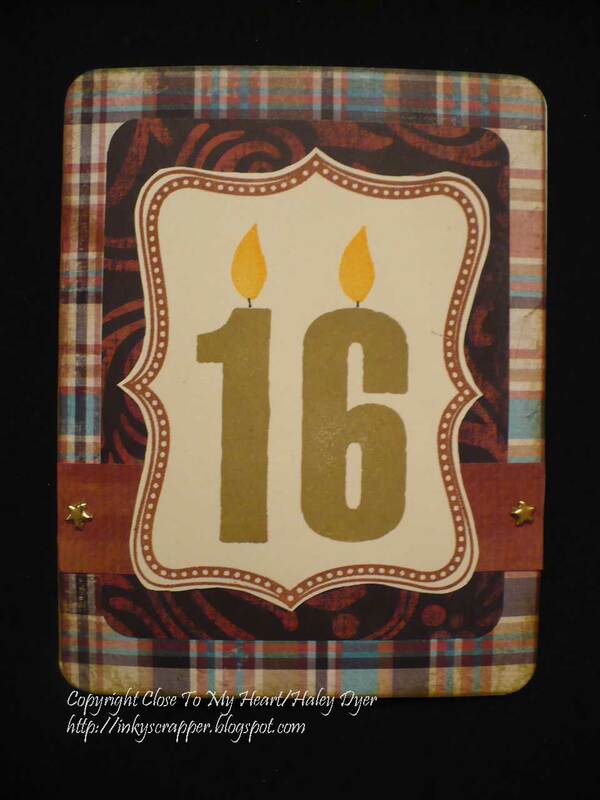 Camy Eisentrager's card says it all! 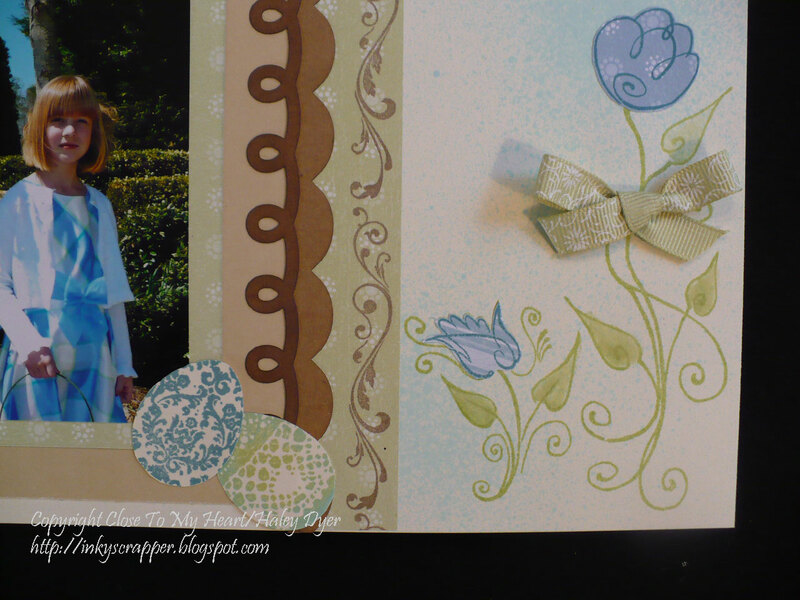 Wouldn't Taralyn's card be pretty for a bridal shower? I love Chris Hill's accent of a sparkle on the flower base! 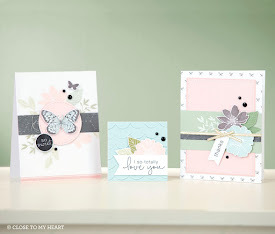 Katie Van Roekel's use of color, size, and matting makes this card look like it has two different butterflies stamped on in, rather than the same one. 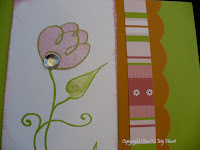 Finally, check out the gorgeous paper piecing and dimension on T. Stone's card. Isn't it beautiful? Remember, the April stamp of the month, Blessed, is available only until the end of the month, as is the Hope for Japan stamp set (see side bar). Let me hook you up with these gorgeous stamp sets! Jesus Christ is risen today! Alleluia! We wish you and your family a very "hoppy" Easter today! 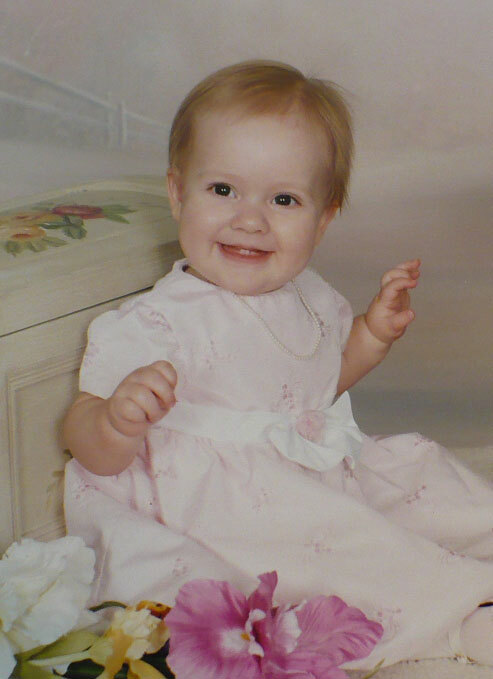 Not only are we celebrating our Lord's resurrection, but also our sweet baby turns 10 today! Look at her at one (left) and now. We love you, Birthday Girl! 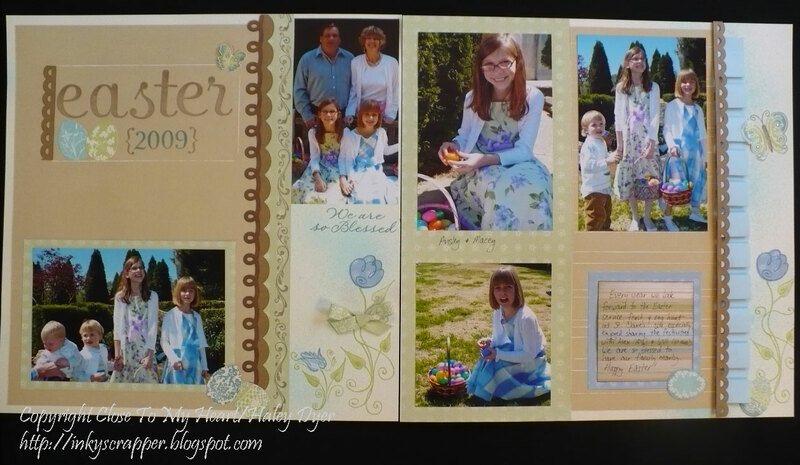 Lasting Memories for my recent Easter '09 layout. Thank you! And no, it is nothing of a "family" nature, but you're welcome to guess in the comments section. OK, none of these layouts are "dirty!" 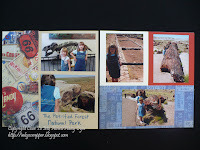 They're the results of cleaning up (and cleaning out) my craft room as we convert it back into a bedroom. 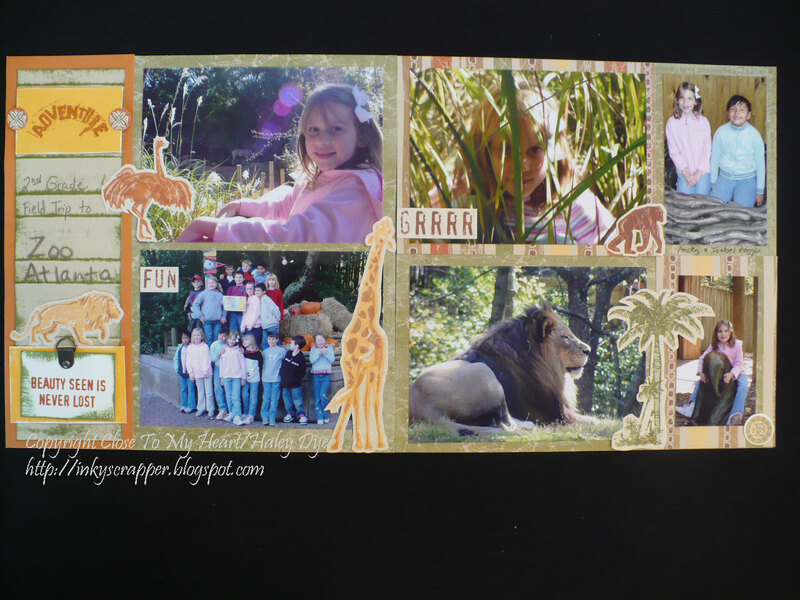 Many of the layouts featured here were received in a swap way back when. Unfortunately, I don't know who to give credit to (so if you see one of yours, give a big shout out! Thanks.) 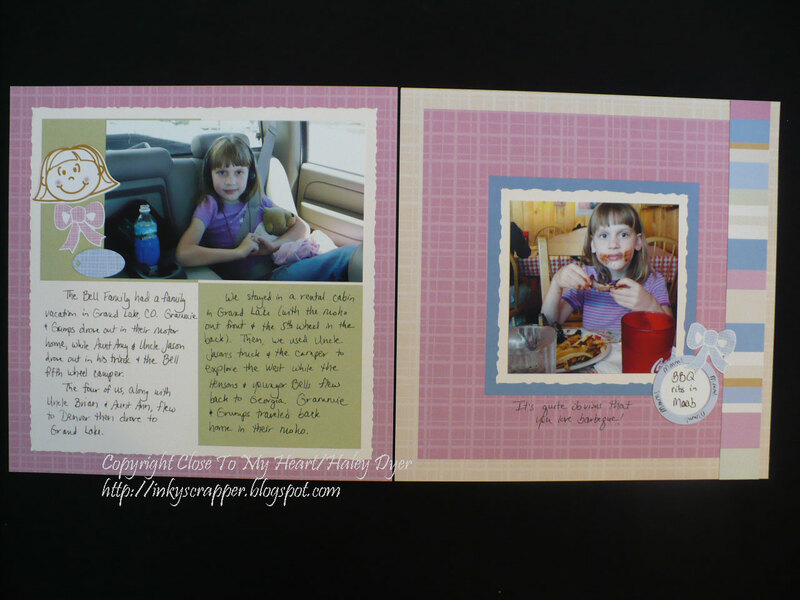 As I waited on people to come to my yard sale, I worked on adding pictures to the layouts or creating the layouts from various pieces. 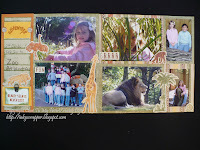 Most if not all the papers used are retired, as are the Kids Kits CTMH used to sell. Even though it's old, hopefully you'll enjoy this walk down memory lane with me. Thanks for looking! ...And after heating it with a heat tool. Here's my sweet girl now, almost six years since those pictures were taken! I love you, Honey Girl! Class will begin at 2:00 on 5/1 at my house. Sandy will be our hostess. The $5 class fee will be waived with a minimum $25 order. Please plan to bring your favorite scissors and adhesive. Can't attend? 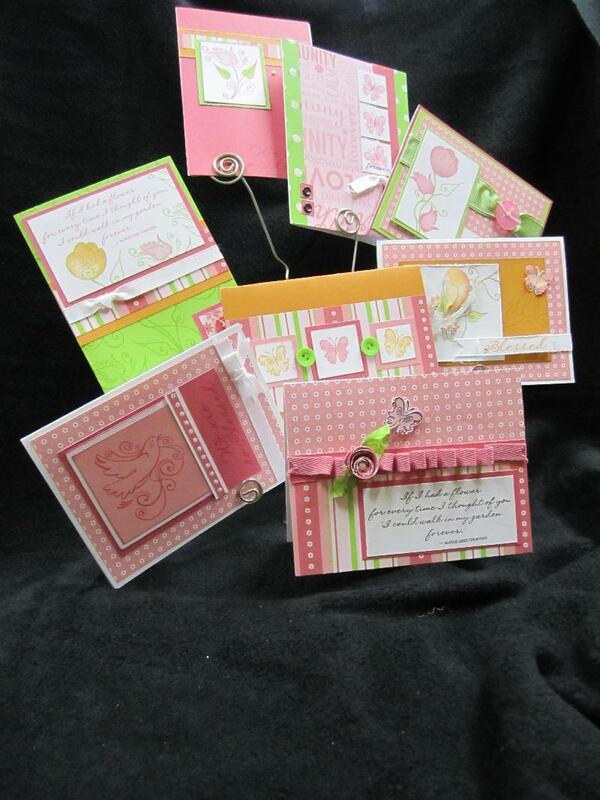 You can purchase a class kit to assemble your own beautiful cards. Contact me for more details or for directions. Please RSVP no later than 4/29 so that I can prepare materials. 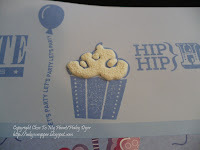 It's time for the first ever Heart 2 Heart Bunny Blog Hop! 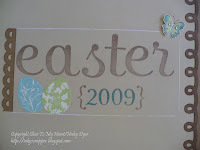 The challenge is to create an Easter or Spring project using Close To My Heart products and then link it up (today only). 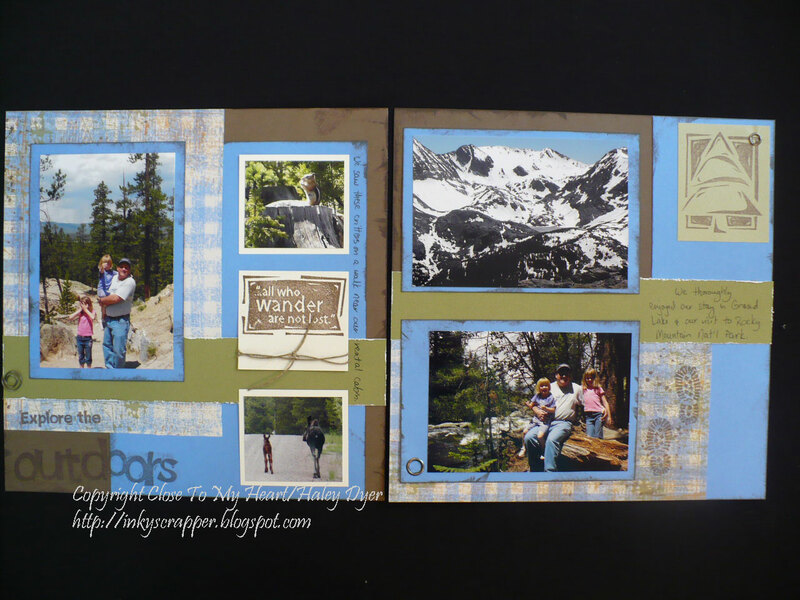 Click HERE to see everyone's creations! 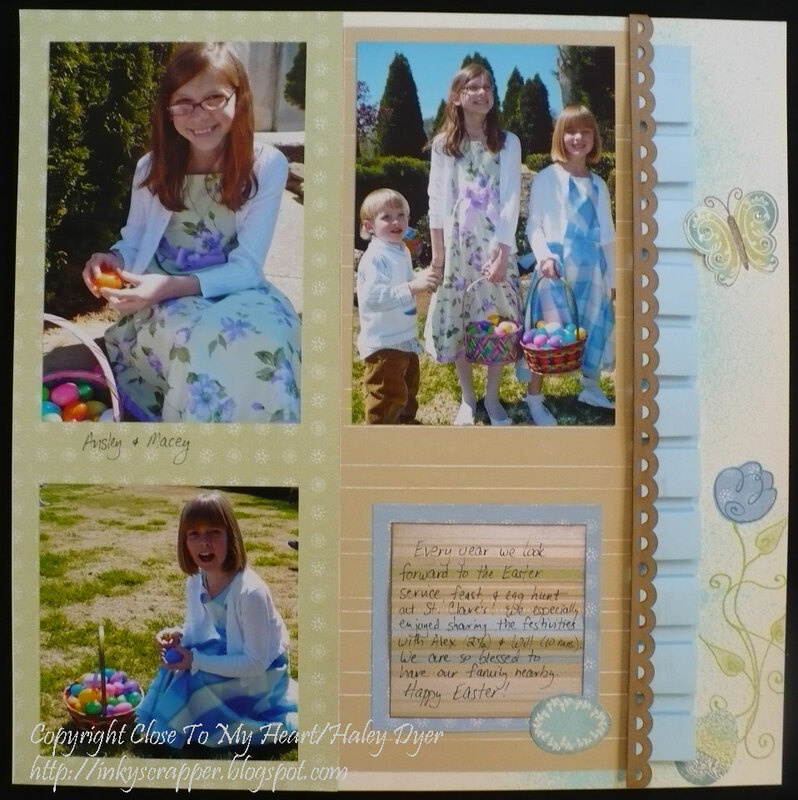 Lasting Memories' challenge #34 is also an Easter or Spring layout challenge, so I am linking my layout up twice. 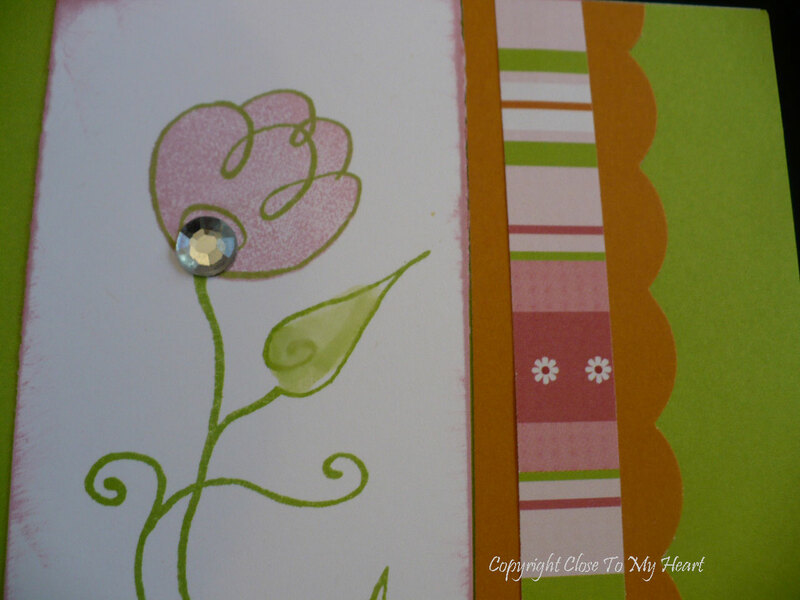 I didn't have the WOTG stamp set, I used ones that I had on hand, including Blessed, the April stamp of the month. 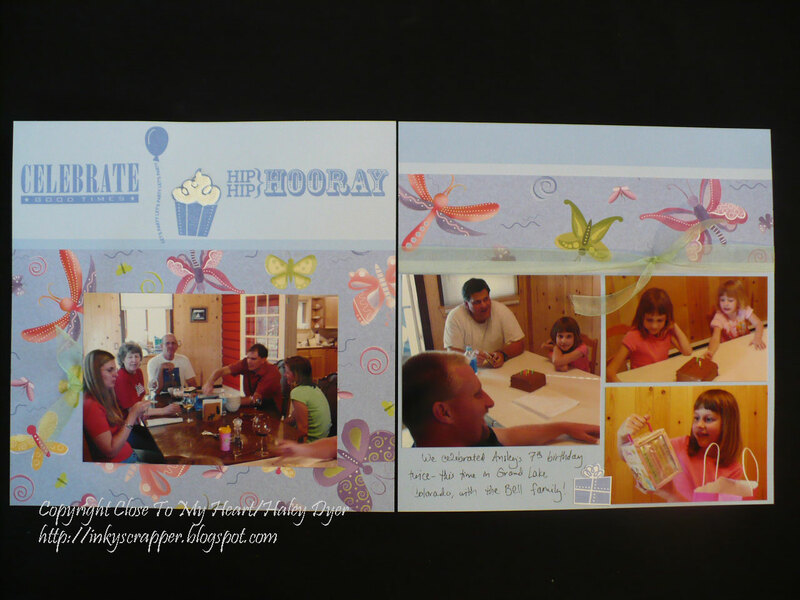 I also personalized the layout by spraying the backgrounds with a spray pen filled with Crystal Blue reinker and rubbing alcohol. I like how it softens the stark Colonial White background. 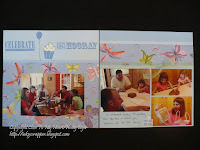 We had lots of fun playing with the new Kraft Color-Ready Borders. You can get 50 of these babies for only $5.95. Several of the ladies wove a strip of Heavenly Blue cardstock through theirs. Truly beautiful! 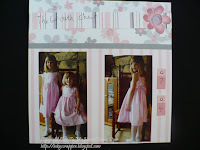 I think that the pleating on this page makes it sooo pretty, but several of my gals thought it was too much work. Making ruffles is probably easier, but I love the way this turned out. 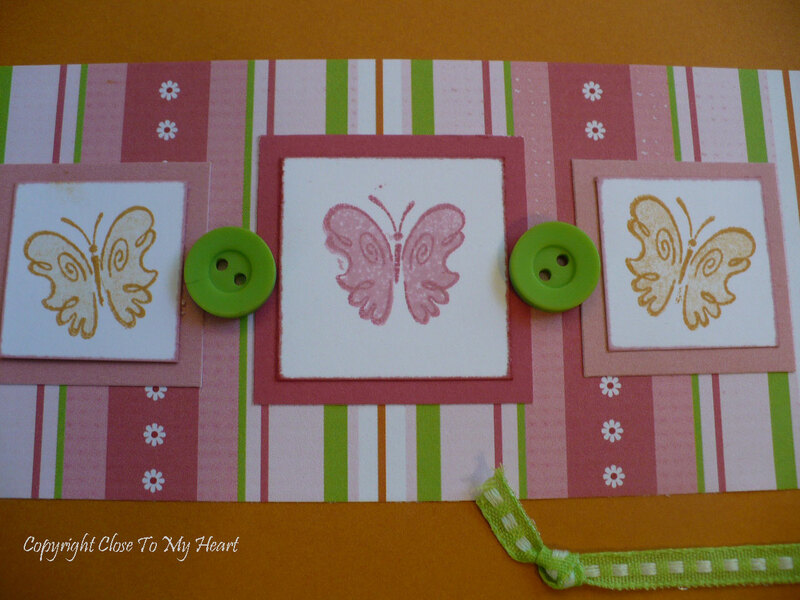 To create this pretty butterfly, first stamp it in Chocolate on the layout. 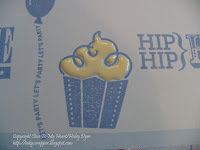 Then, stamp it on scrap cardstock after inking it up in Sweet Leaf, Crystal Blue, and Twilight. 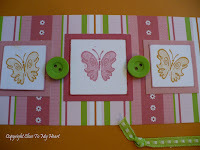 Cut out the wings and adhere them to the butterfly base. 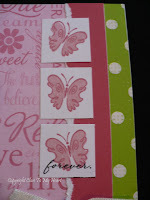 Finally add a few sparkles because every butterfly needs some bling! I also used the "rock 'n roll" inking technique on many of the eggs. Hope you have a very "hoppy" Easter this Sunday! 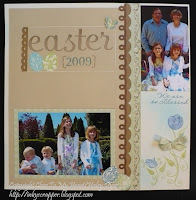 Click HERE to download a free copy of the Craft Stamper "Best of 2010" E-Zine! 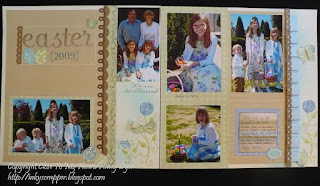 Also, since our youngest turns 10 on Easter, she invited four friends over for a sleepover Friday night. They had a blast, but I still think that I am recovering! 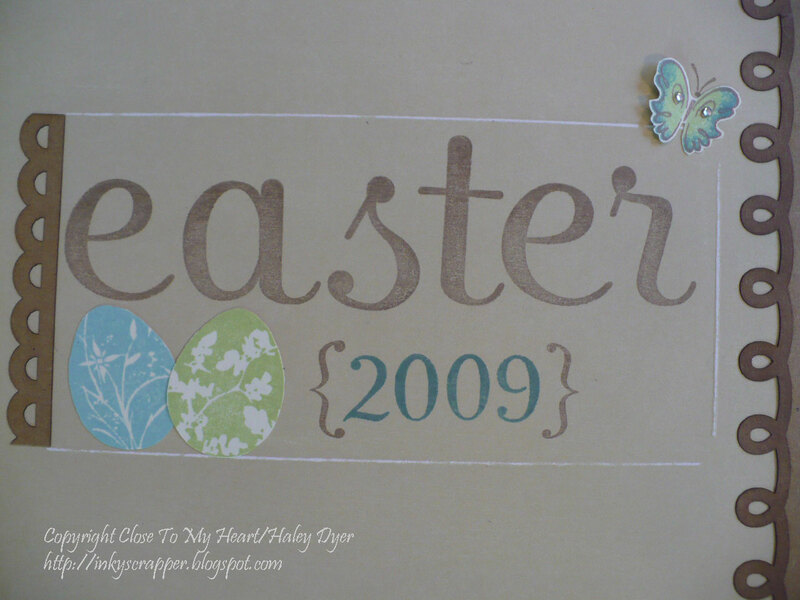 After our Palm Sunday services today, I'll be scrapbooking with my scrapbook group and am really looking forward to some spring creations. 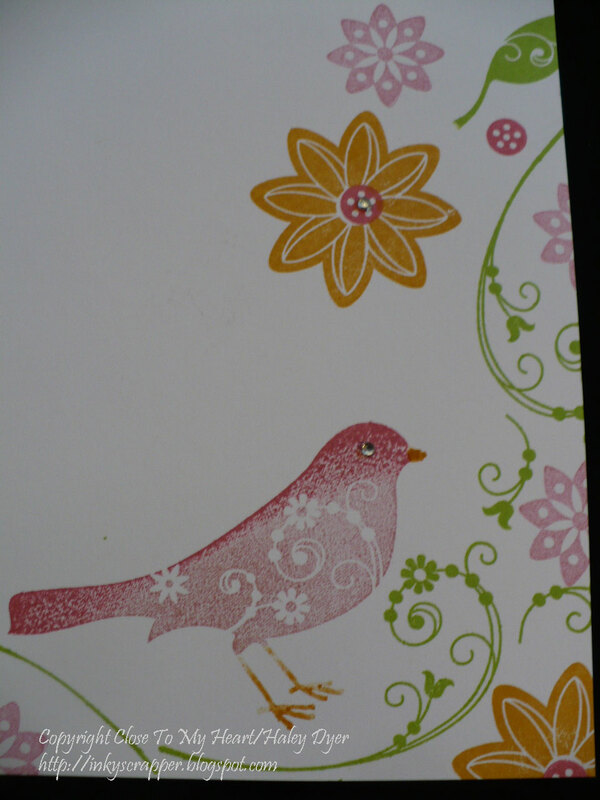 Hope you have a wonderful day too! I began with one of the pieces of an All-Sorts mini album that I had left over from another project. 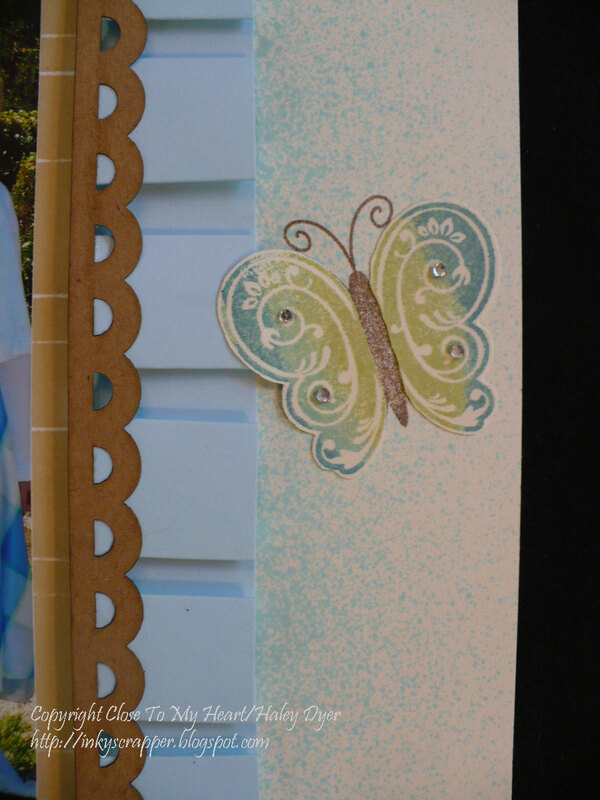 I distressed the top and bottom with Colonial White and Chocolate inks to match the Bliss papers I chose to use. I then cut a panel of Grey Flannel card stock to cover the main portion of the chipboard piece and distressed its edges with Chocolate. 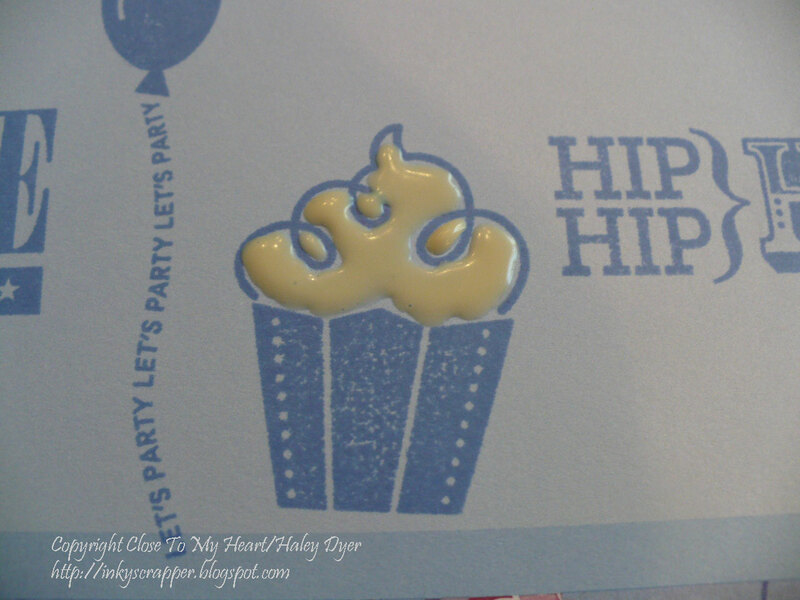 Finally, I stamped the chairs from the Chairs to You stamp set (a sneak peek at the May stamp of the month!). Some I stamped on Bliss patterned paper and others I stamped directly onto the card stock base and then embellished with paper-piece cushions. Finally, I used the Old World Alphabet in Chocolate to spell out "Welcome." The Twilight-colored sentiment is from the Chairs to You set. 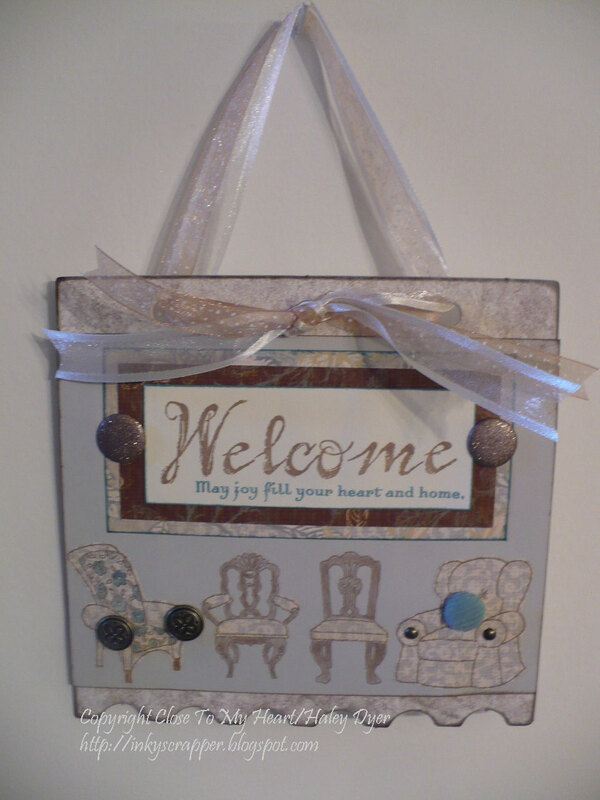 A few brads and some ribbon later, a welcoming wall hanging to grace our entryway. Thanks for stopping by! Please leave me a comment to let me know what you think of this project. 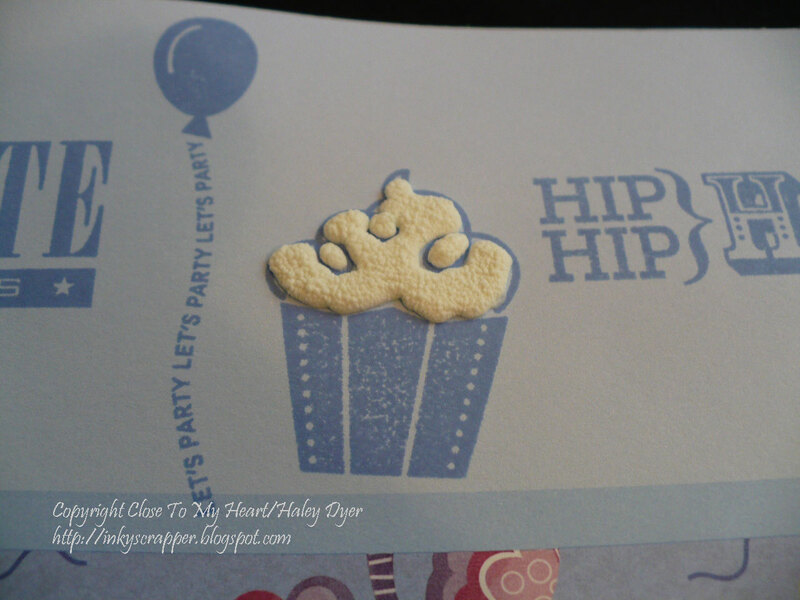 Now hop on over to Tamytha's blog! Somehow I missed sharing this video with you when it was first released. 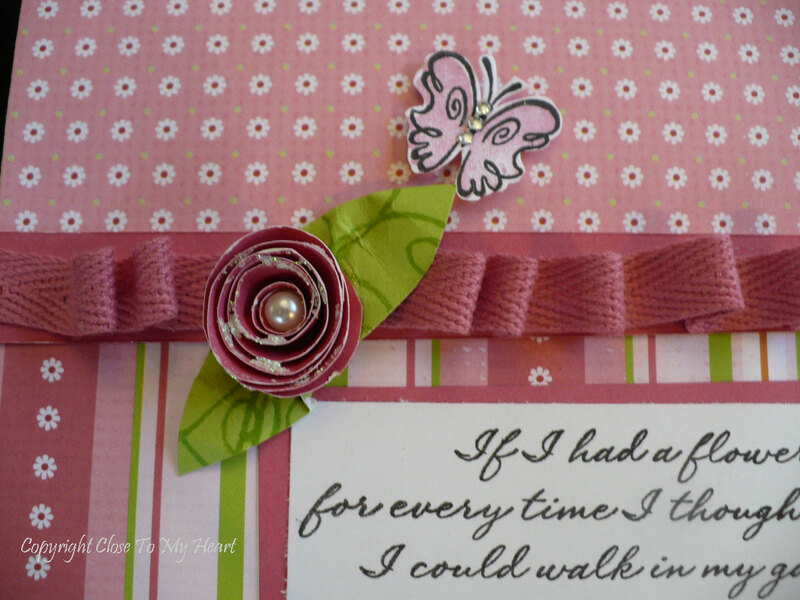 Watch it to learn how to make perfect pinwheels! 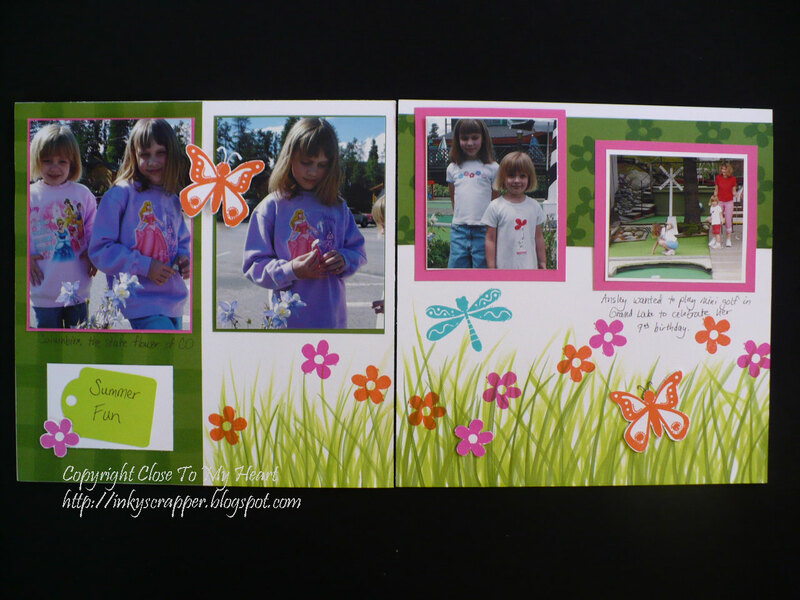 So fun for spring and summer! 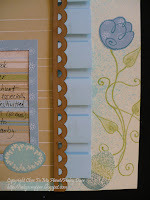 I will be teaching this technique Sunday at my scrapbook class. Please let me know if you're interested in attending. 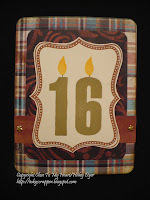 First, I have to wish my MIL a very happy birthday today! (We went out to lunch together yesterday to celebrate because I have a church meeting this afternoon/evening.) 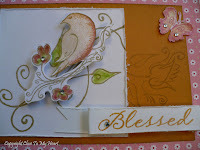 Now on to the layout using the lovely Sophia paper pack and based on the Mesmerize sketch from the Magic how-to guide. 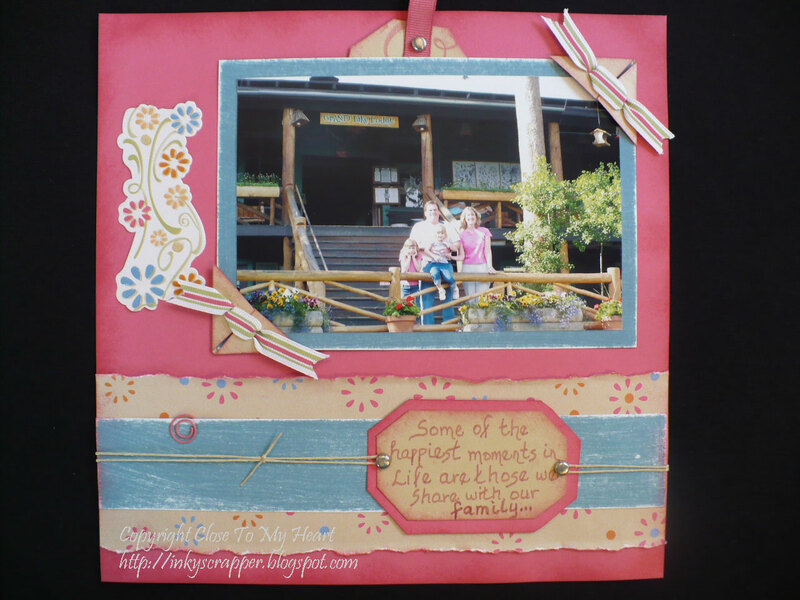 (I taught this layout at a recent class and have three kits left. 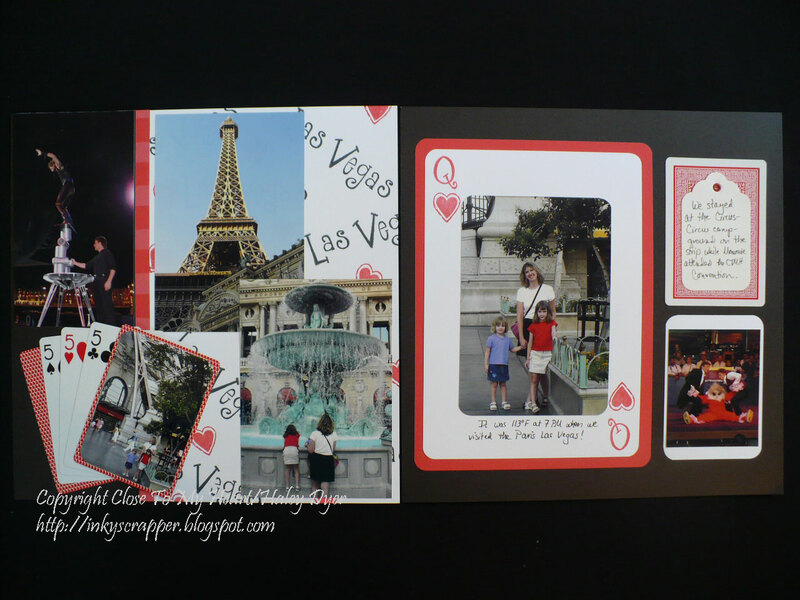 Let me know if you'd like one!) 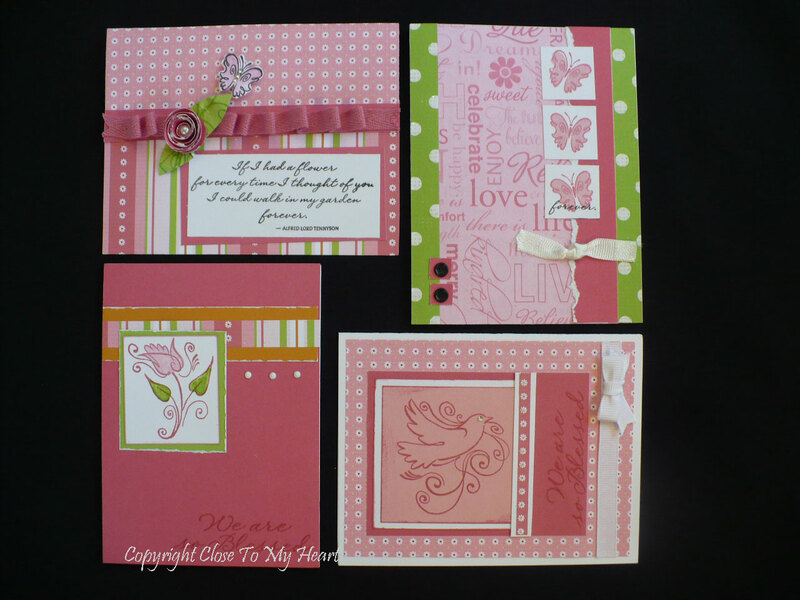 I'm entering this layout into the Heart2Heart "Showers & Flowers" challenge. 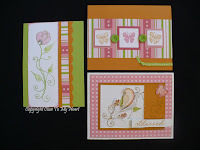 The main stamp set is from the Sophia Workshop on the Go, and the ink/paper colors are Hollyhock, Blush, Pear, and Goldrush. 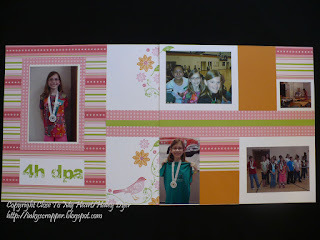 We also used the Bohemian Alphabet stamp set for the title. 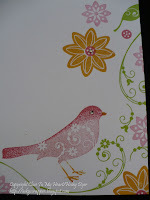 To learn how to ink up the bird, click HERE. 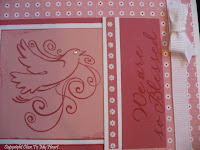 I love using Sparkles or Pearls for the bird's eye. 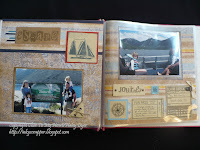 Because she is old enough now, my daughter is going to do her own journaling before we put this layout in her scrapbook. These photos are from her first time participating in DPA (in 5th grade) where she placed 3rd. We were (and still are) so proud of her!